Pomegranate juice and vodka shaken then topped with DASANI® Sparkling Raspberry Lemonade, crushed ice, pomegranate seeds, and fresh mint leaves. This sparkling Pomegranate Raspberry Lemonade Vodka Soda is perfect for entertaining. I’m counting down the days until the holidays, my favorite time of year. There’s something about the last two months of the year that just feels exciting. Maybe it’s because of the food-filled holidays, maybe it’s because it’s the season of giving, or maybe it’s because there are just plenty of reasons to celebrate. Whatever the reason, I’m ready for it. 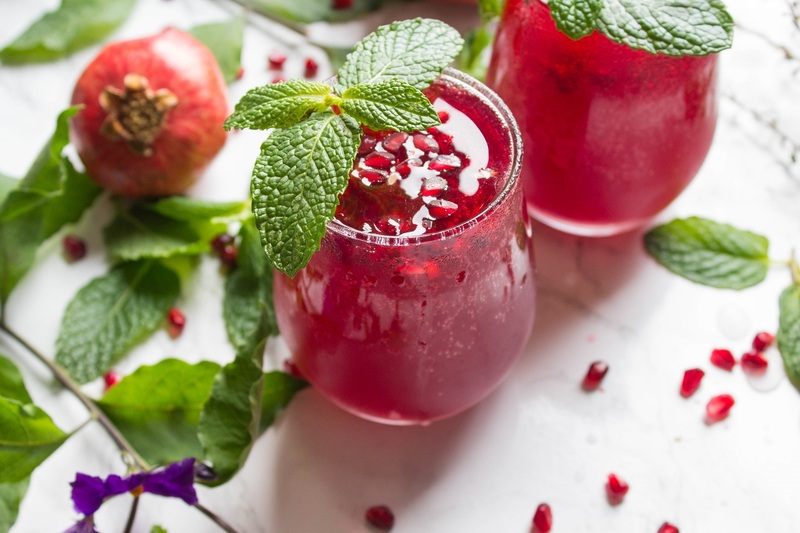 I’m always looking for fun and festive drinks for entertaining, both during the holidays and just for any occasion. So today, I wanted to share with you a brand new drink just in time for the festivities. Easy to make with just a few simple ingredients, you’ll be ready to impress your guests with a fun cocktail. 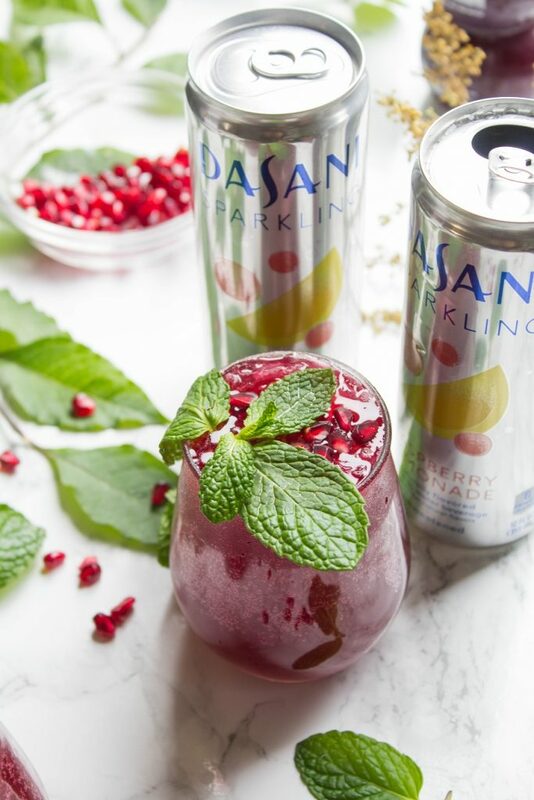 All you need is Dasani® Sparkling Raspberry Lemonade, pomegranate juice, vodka, crushed ice, pomegranate seeds, and fresh mint leaves. 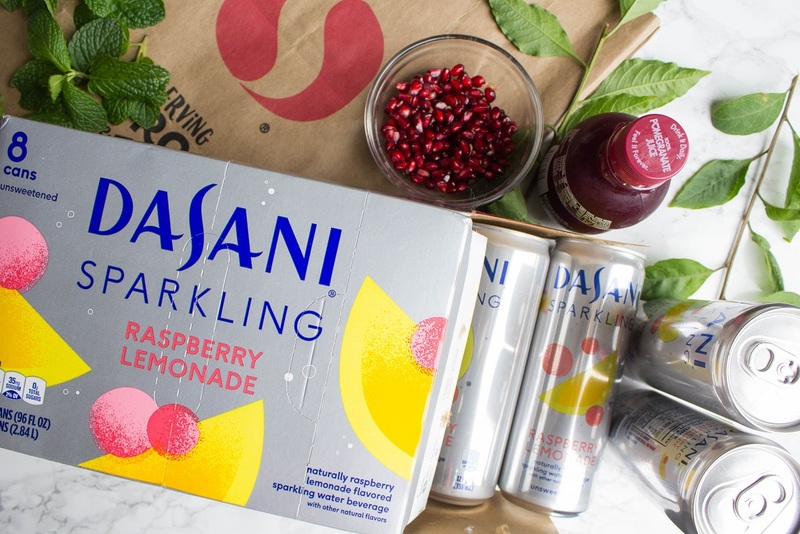 If you’ve never had Dasani® Sparkling before, it’s a line of flavored sparkling water. 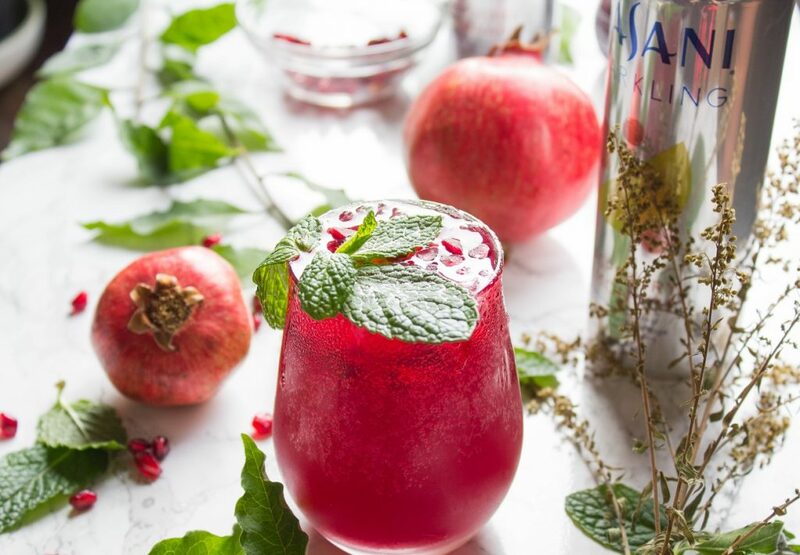 Each flavor is unsweetened with no artificial flavor and zero calories, and it’s great for making cocktails and mocktails. They come in a variety of different flavors like black cherry, raspberry lemonade, blood orange, tropical pineapple, and lime. Visit your local Safeway store to find your favorite. 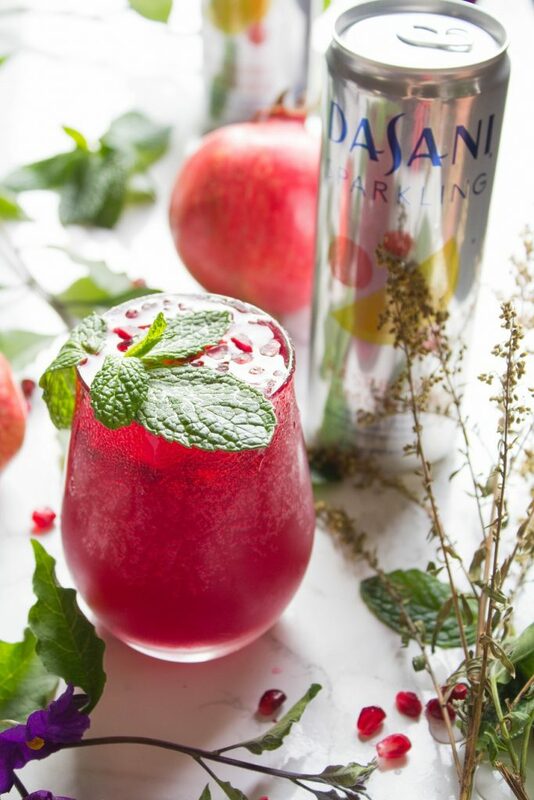 For this cocktail, I chose to use Dasani® Sparkling Raspberry Lemonade, but you can easily switch out the flavor for another that you prefer. 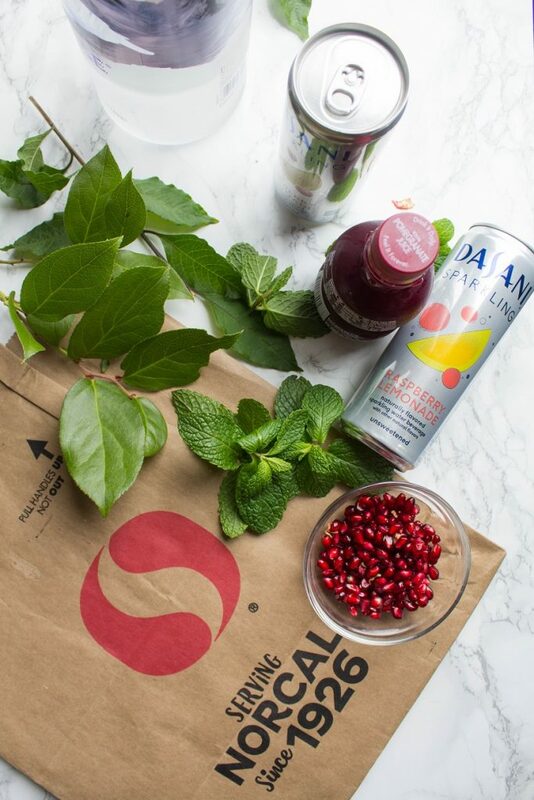 Pomegranate juice and vodka will work with any of the Dasani® Sparkling flavors, and you can find all of these ingredients at Safeway. 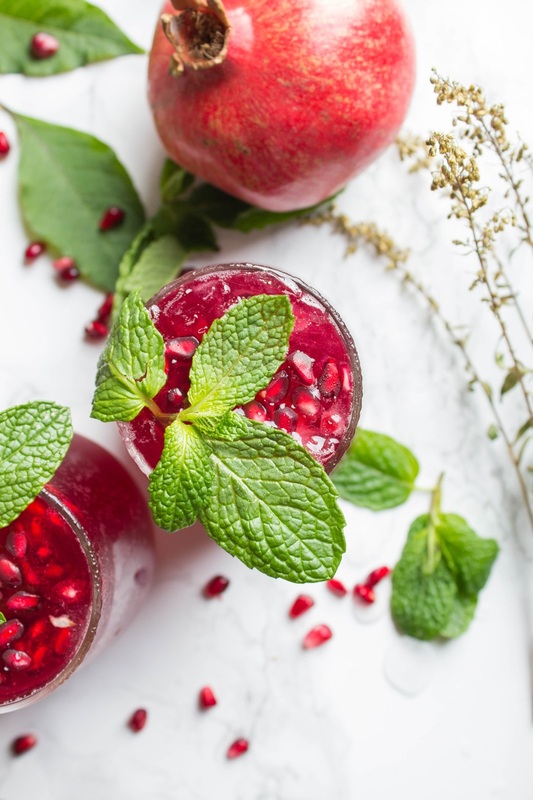 There’s something about the pop of color in the pomegranate and freshness of the mint leaves that takes this cocktail to the next level, perfect for impressing your guests. While this recipe makes a small batch, you can easily scale the recipe to make more to accommodate your guests. Hope you’ll enjoy this cocktail as much as I do. 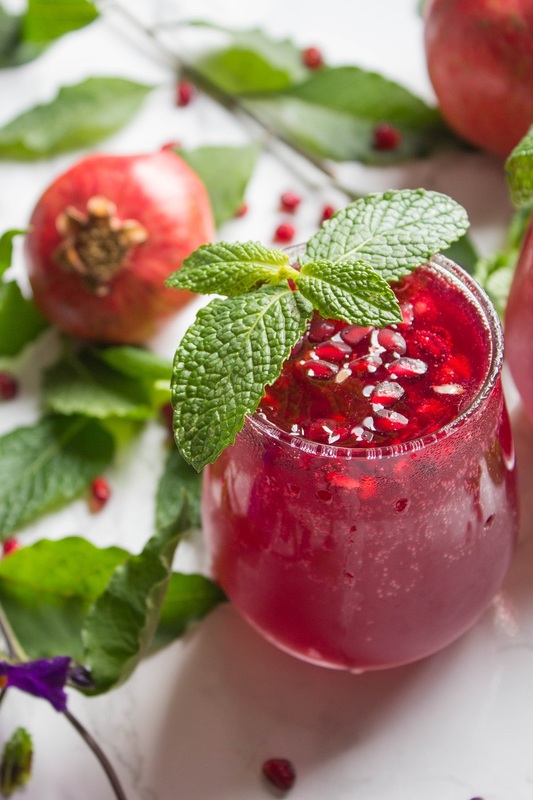 Pour pomegranate juice and vodka into a cocktail shaker and give a few shakes. If you don’t have a cocktail shaker, you can just add them into a glass and stir. 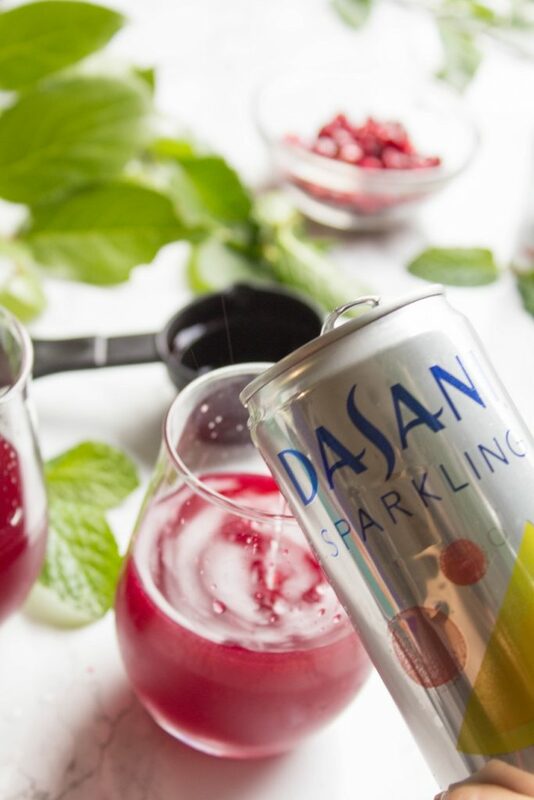 Top the glass with Dasani® Sparkling Raspberry Lemonade, and then add crushed ice. 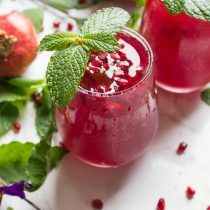 Serve this Sparkling Pomegranate Raspberry Lemonade Vodka Soda garnished with pomegranate seeds and fresh mint leaves. 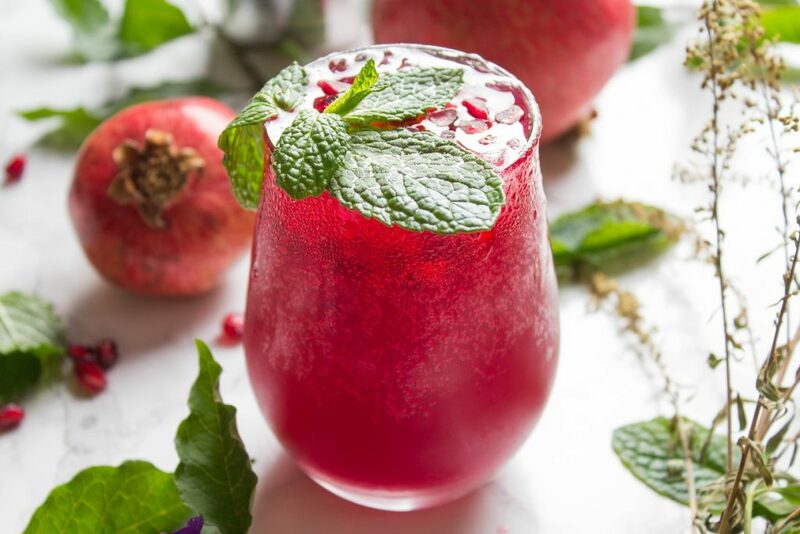 This entry was posted in Beverages, Cocktails, Fall Cravings, Farmer's Market, Gluten Free, Holidays, Quick and Easy, Recipes, Thanksgiving, Vegan, Vegetarian and tagged cocktail, gluten free, quick and easy, sponsored, vegan, vegetarian. Sounds delicious and looks festive.